In March 2018, funder and renowned business leader Mr. Ajit Gunewardene saw an opportunity to expand his business portfolio at Bluestone Capital, a private equity and venture capital company. Under Bluestone 1, a subsidiary of Bluestone Capital, the company acquired Melsta Regal Finance, a finance company that was owned by Melstacorp PLC, and renamed it Fintrex Finance. Fintrex Finance is now 100% owned by Bluestone 1 under a Board comprising industry stalwarts Mr. Ajit Gunewardene (founder/chairman), Mr. Ronnie Peiris (non-independent/non-executive director), Mr. Shantanu Nagpal ((non-independent/non-executive director), Mr. Mahendra Galgamuwa (independent/non-executive director), Mr. Shivan Coorey, (independent/non-executive director), Mr. Keith Bernard, (independent/non-executive director), and Ms. Shivanthi Atukorale, (independent/non-executive director). 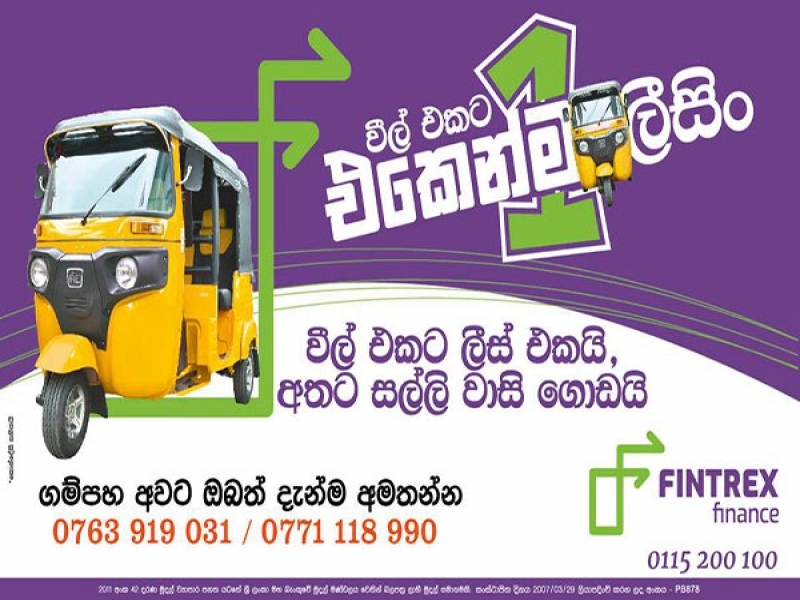 At the rebranding of Fintrex Finance in August 2018, Mr. Gunewardene explained that the name was coined from the words ‘financial entrepreneurs’ and ‘experts’, both of which describe Gunewardene’s business interests after retirement from John Keells Holdings. Here, he talks about the systems, governance and processes that will drive the success of Fintrex Finance. Q: What made you invest in this industry and company? A: Sri Lanka has a growing economy that has huge opportunities for entrepreneurship. Sri Lanka has a lot of young talent who are the next generation of entrepreneurs that needs mentoring. Sri Lanka also has a lot of untapped market segments that can be penetrated. For one to benefit from the other, there is a vital requirement- financial assistance. I believe that through Fintrex Finance, we can partner these entrepreneurs who belong mostly in the SME sector to tap into these entrepreneurial opportunities and build up a growing economy. As entrepreneurs ourselves, we have the knowledge, the expertise and the financial backing that could help these new markets to benefit. Q: What is the status of our finance industry? Is it a viable landscape to invest in? A: The finance industry in Sri Lanka is evolving and will continue to evolve and will play a huge part in driving the national economy. GDP growth means more opportunities which will eventually translate to the rise of entrepreneurship, the future engine of our economy. Entrepreneurs are making huge strides, tapping into market segments and penetrating business opportunities. This is where I see huge potential for the finance industry, to support these entrepreneurs to succeed. Considering all of this, our aim at Fintrex Finance is to be more efficient and offer more mobility to the smaller economies at a SME level which is what I foresee to be the dominating factor in this growing economy. Q: Having done so, how would you add value to this organization and industry? A: I am conscious of the risks associated with this industry that is already suffering from bad publicity. To mitigate this bad reputation that the industry is now cloaked in, I, together with my Board, have put together three pillars that will guide us, hold us responsible and protect our stakeholders. Firstly, through our experience in the corporate environment, we bring in governance of the highest level to this business. There will be transparency, effectiveness, efficiency, and accountability at all levels, and our 100 percent participation and responsiveness with no exceptions. Secondly, we have put in to place tools, systems and processes required to manage risks, technology to address efficacies, and the expertise to run this organization effectively. Thirdly, we have and will ensure the right people with the right competencies are in the right positions to drive this organization properly. Our collective intent is not growth at any cost but growth on a solid and reliable foundation. Q: Are there new opportunities in this market that Fintrex Finance would like to explore? A: In the medium term we are looking at technology to drive and grow our business. Technology is nothing new to Sri Lanka and I believe that our customers and our organization is geared to accept technology as a game changer to improve operational efficiencies and service standards, and to offer customer conveniences. Q: You place great emphasis on the right people in the right places. How do you attract such people? A: Our Board comes with many years of experience in various fields in which they all have excellent reputations and are highly regarded. Therefore, we are able to attract the right people who understand our ethos, our work ethic and will fit in to our work culture. We also offer attractive, well-structured compensation packages aligned to this industry. Additionally, we support and mentor our employees to get the best out of them, and who would adhere to good values and corporate ethics that will ensure they deliver responsibly to our stakeholders. Q: Ultimately, what will Fintrex be best known for? A: We will create more entrepreneurs who are the future base of this economy. It is the small entrepreneur that will grow to be the future success of this nation. With the right technology and a management team that has the ability to compound capital for investors, we will enable responsible lending and deploy best in class practices to scale our operations nationwide and a build a future for the next generation of leaders.